VoIP is here to stay, and the future of business telephony for the foreseeable future. With adoption continuing to grow, and with so many advantages over traditional copper landlines, it's now easy and affordable for any business to make the move to IP-based communications. The new Polycom VVX 101 is designed to provide exactly that: A basic option in small office VoIP that brings all the features you need to move towards Unified Communications, in a highly affordable package. 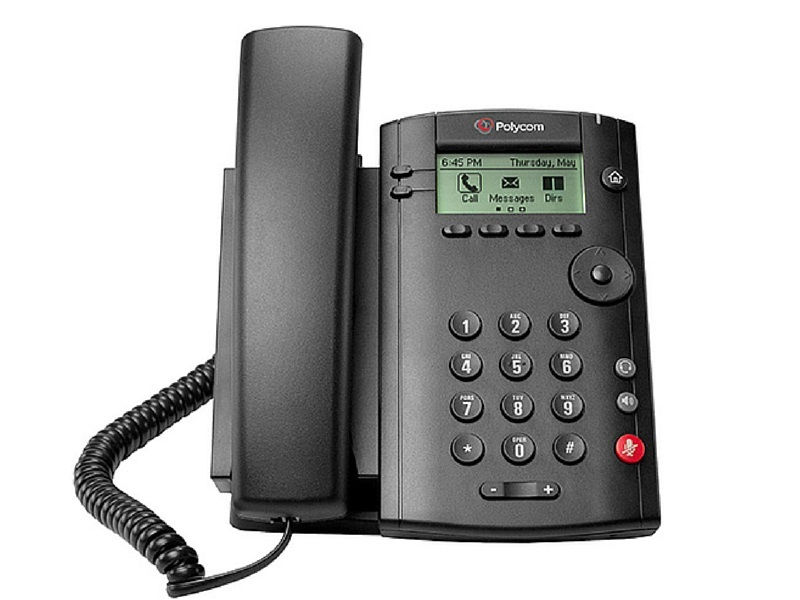 Polycom is one of the most-trusted brands of enterprise-grade VoIP phones in the world, due to their excellence in sound processing as well as systems compatibility. The Polycom VVX101 IP phone is quick to deploy, with zero-touch configuration in most network environments and PoE power support to reduce cabling. In most cases, it's a truly plug-and-play device. The onboard GUI is easy to use, while providing the full range of standard telephony functions, as well as local conferencing features. Your Unified Communications are also secure with the VVX101, with a full range of industry-standard encryption and security protocols, including authenticated logins. Whether you just need one VoIP phone for your business, or are looking for an affordable solution to quickly outfit a small office, the Polycom VVX 101 brings a lot of power and flexibility for a remarkably low price. Download the VVX 101 datasheet here or contact Hummingbird Networks for a full consultation.